San Onofre Nuclear Generating Station. The only nuclear power plant in San Diego has a long-standing security and action plan in case of emergency, but in light of an ongoing Japan power plant crisis, those plans are now under the microscope. On Tuesday night, the San Clemente City Council demanded the San Onofre plant reassess its safety measures. The plant is located in North San Diego at the San Onofre State Beach on Camp Pendleton, about 10 miles south of the City of San Clemente. San Onofre, like the Japan plant currently facing possible meltdown due to complications stemming from last week’s 9.0 earthquake, sits on an open coastline near active fault lines susceptible to earthquakes. Gil Alexander, spokesperson for the generation station’s operator, Southern California Edison, said the facility completed reassessments last month and stressed the staff finds the plant is safe, citing a 30-foot seawall overbuilt for earthquake and tsunami protection. 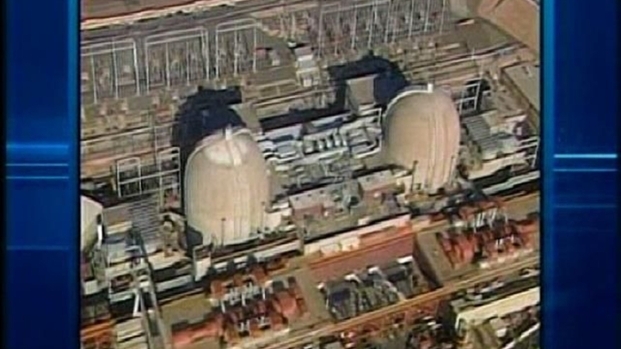 San Clemente City Council demanded the San Onofre plant reassess its safety measures. Alexander says past studies have shown the maximum earthquake that could affect the plant would be a 6.5 on the Richter magnitude scale, so its engineers built a wall capable of withstanding a 7.0 quake. He added that Japan will be a learning tool, and he does not dismiss that a future reassessment could lead to plant changes. Nancy Casady, president of the Alliance for Nuclear Responsibility, wants more action. Every other year, the Federal Emergency Management Agency tests the facility’s ability to deploy radiological monitoring teams, make decisions on how to best protect the public, and provide emergency public information, according to the San Onofre plant's website. Emergency response focuses on locations within 10 miles of the plant, called an Emergency Planning Zone. The area is used because studies have shown the vast majority of released radioactive material during a catastrophic accident would be so dispersed and diluted after traveling that distance, it would pose a very limited risk to people and property, according to the website. It adds that people living or working within 10 to 20 miles of the plant are in a Public Information Zone. They receive emergency information in the front of their AT&T telephone directory and, in a worse-case scenario, may be asked to seek shelter. Said Alexander: "The plant is ready."